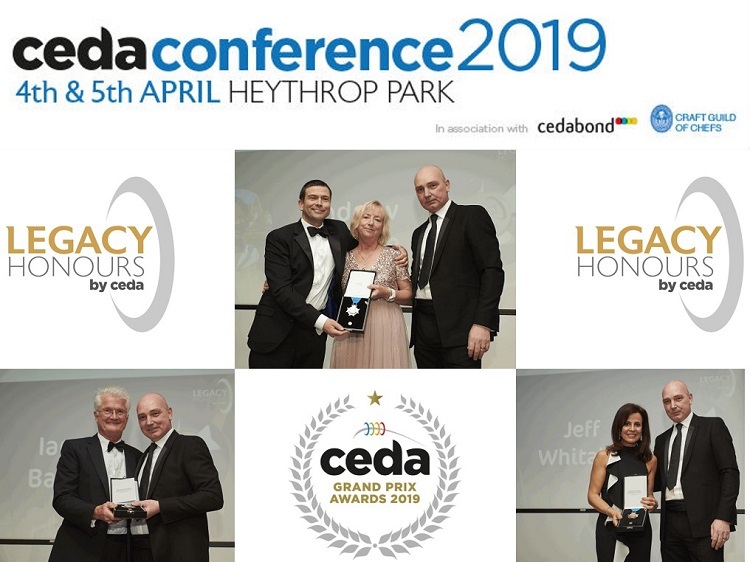 The ceda Gala Dinner & Awards took place on Friday 5th April at Heythrop Park in Oxfordshire, bringing to a close the 2019 ceda Conference. Awards given out on the night included the ceda Supplier Awards, the ceda Rising Star Award, the hotly anticipated ceda Grand Prix Awards and new for 2019, the Legacy Honours by ceda. Victorious Members included CHR Food Service, CNG Foodservice Equipment, TAG Catering Equipment, Vision Commercial Kitchens and Whitco Catering & Bakery Equipment. The evening began with the introduction of the new Legacy Honours by ceda. Replacing the Industry Personality Award, the new honour is the highest possible accolade presented by ceda to an individual involved and associated with the commercial Foodservice and Hospitality Design, Equipment and Service Industry. Next up were the ceda Supplier Awards, sponsored by Commercial Kitchen. ceda Members vote for the suppliers they feel have delivered the best overall service in terms of quality of product, support and service. The ceda Rising Star Award celebrates the best new talent in the industry by recognising and rewarding an individual’s outstanding achievement and contribution to the development of a ceda member company. Candidates are nominated by their company and this year’s winner is James Austin from Tailor Made. Arguably, the most sought-after award of the evening is the Sir Donald Thompson Cup, formally the Overall Winner. 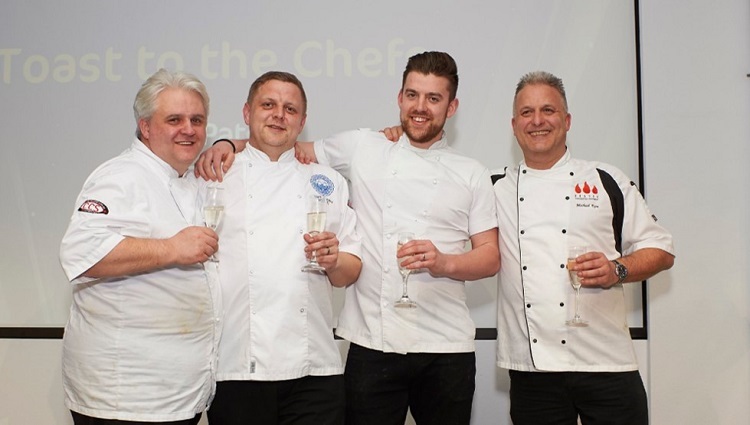 Chosen from the winners of the five Grand Prix categories this year’s victory belongs to TAG Catering Equipment. 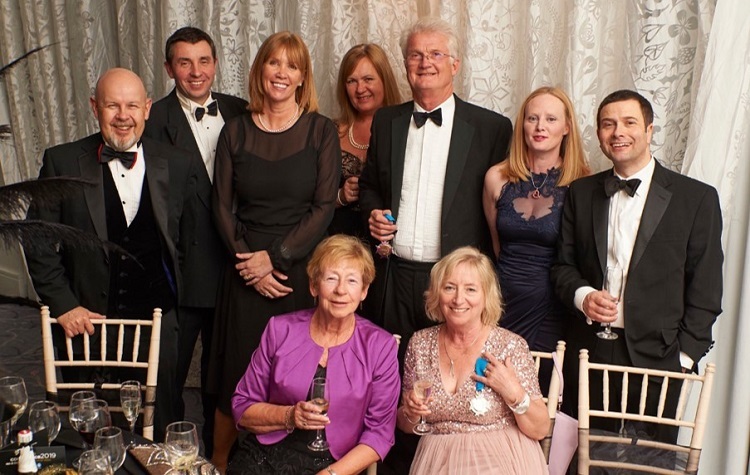 H&C News attended the awards and we must say how welcome we were made to feel, it was a ‘ceda family affair’. Thank you and well done to all the team that put the evening together.